It was too quiet in fairness. 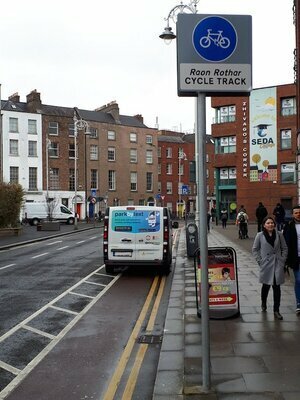 Posted in Misc and tagged Cycle Lane, Ryders Row at 2:37 pm on February 22, 2019 by Bodger. 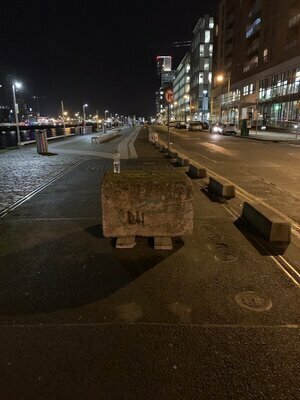 North Wall Sir John Rogerson’s Quay, Dublin, last night. 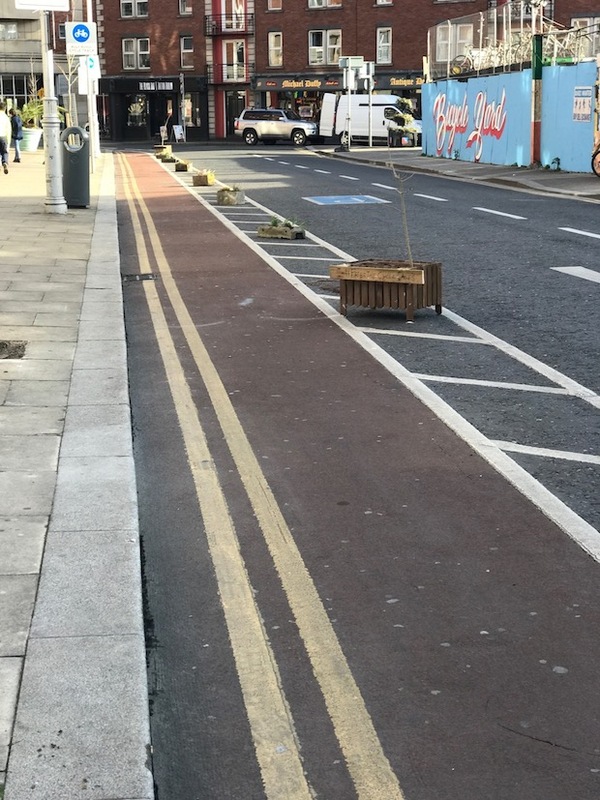 We have reached peak (middle finger emoji) to Dublin cyclists. 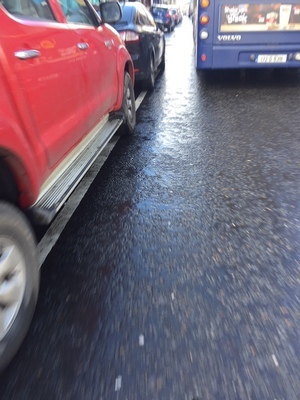 Posted in Misc and tagged Cycle Lane, obstruction at 9:10 am on January 23, 2019 by Chompsky. 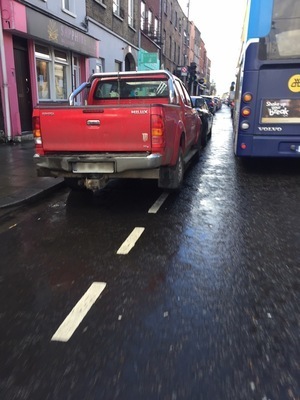 Posted in Misc and tagged Cycle Lane, Galway at 10:37 am on November 13, 2018 by Bodger. 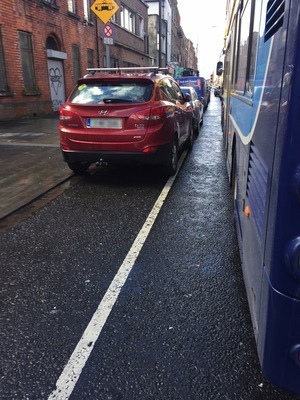 On the left is a cycle lane running along Thomas Street to James’s Street. I counted 18 cars parked in it this morning. 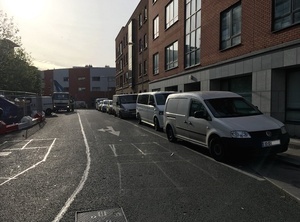 The same cars are parked there all day everyday, even though there is a paid carpark on the left. That road is so dangerous now with the increase in rerouted bus traffic and the increase in traffic from the on-going works in James’s hospital. 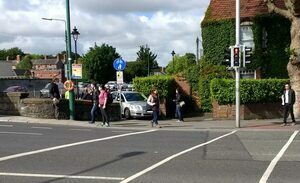 You also have to deal with the cars being over the white lines and the cars and buses being forced into your path by the traffic island on the right. 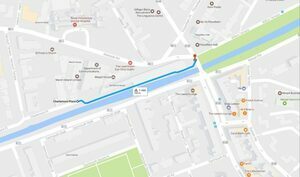 And all that before having to deal with the hell which is the James’s Street Luas tracks just ahead. 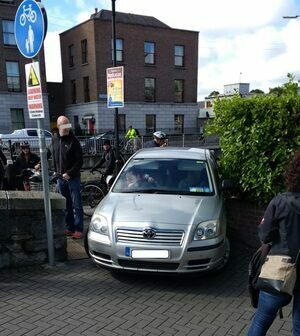 Posted in Misc and tagged Cycle Lane, Cycling, Dublin at 2:38 pm on April 3, 2018 by Bodger. 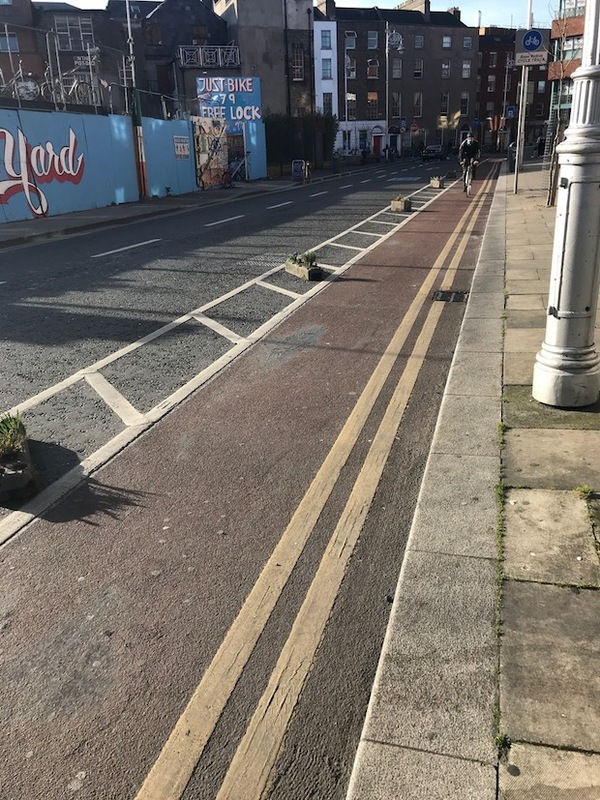 Hey Dublin City Council, can you tell me why the bicycle lane is out of commission on George’s Lane? There are actually MORE vehicles in that lane now. They clearly don’t care. 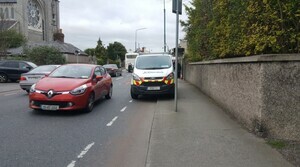 At least until the gardai ticket them! 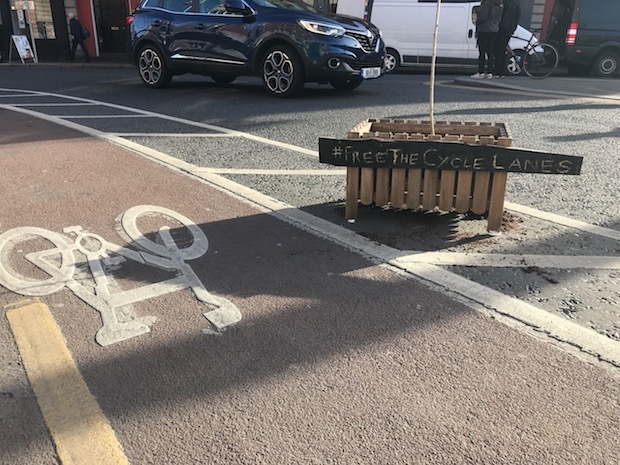 Posted in Misc and tagged Cycle Lane, Free the lanes at 12:32 pm on November 8, 2017 by Bodger. 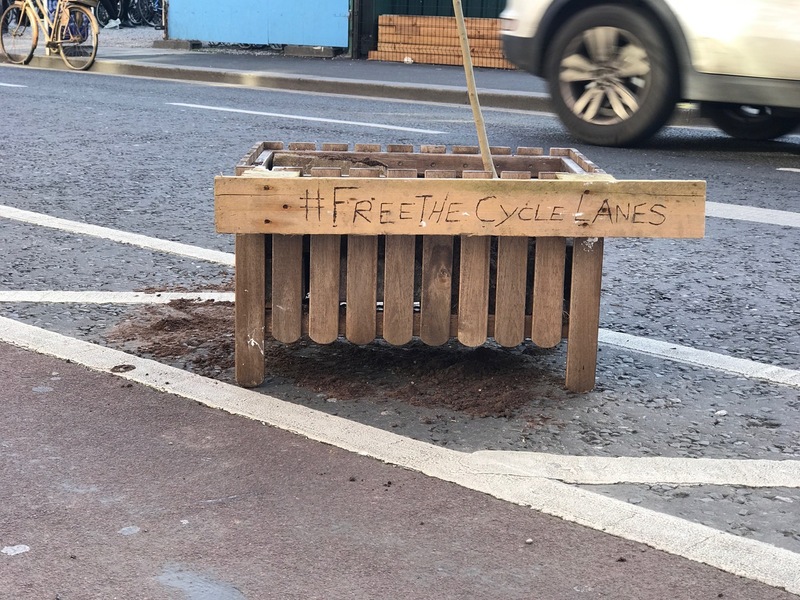 Posted in Misc and tagged Cycle Lane at 10:03 am on June 22, 2017 by Broadsheet. 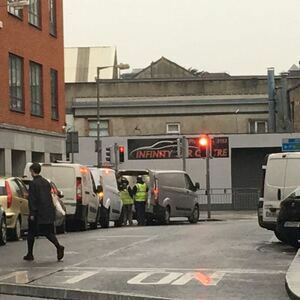 Normally where the Grand Canal bike path crosses Leeson St. is a choke point, but this was unusual! An elderly driver on his way to the Eye & Ear hospital became confused and drove 230m along a dedicated bike path. Miraculously no-one was injured. 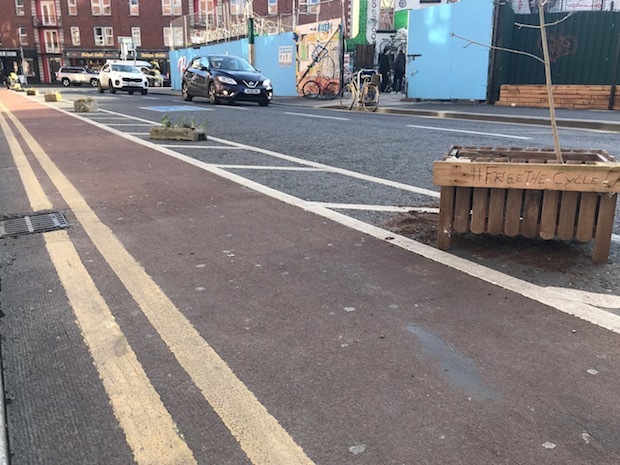 Posted in Misc and tagged Cycle Lane at 10:35 am on June 9, 2017 by Broadsheet. 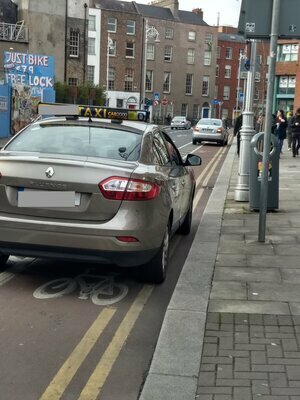 Posted in Misc and tagged Cycle Lane, Lane Shaming at 10:09 am on April 5, 2017 by Broadsheet. 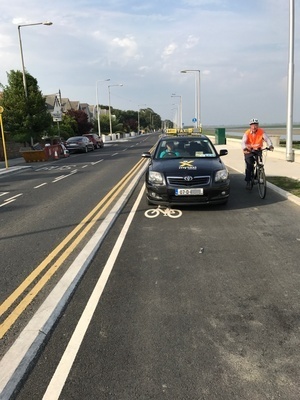 In planning since 2012, the Clontarf to City Centre Cycle Route was supposed to provide a fully segregated two-way cycle path between the existing coastal path at Clontarf and the city centre, via Fairview and North Strand. 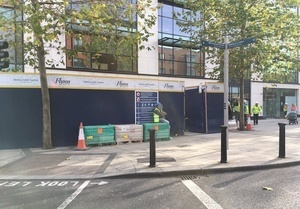 But instead the council has opted for a non-continuous cycle route which mixes cycling with buses, heavy traffic and pedestrians. 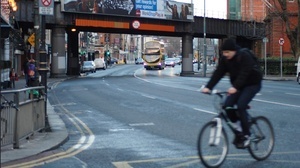 The solution is to return to a design with a continuous two-way cycle path on the east side of the road along the route. This is the safest, most space efficient, and most attractive option for most people who cycle now and those who will cycle when conditions are improved. Please sign and share our petition below if you agree. 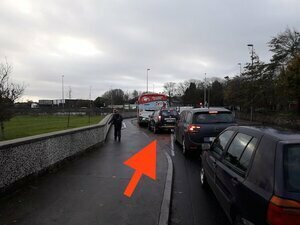 Posted in Misc and tagged Clontarf, Cycle Lane at 2:11 pm on January 27, 2017 by Broadsheet.